California IVF Fertility Center offers all forms of male and female infertility services. Our staff and infertility specialists are here to help you. Achieving positive results by providing patients the latest scientific developments in a patient-friendly and relaxed atmosphere. Your satisfaction is our top priority. We strive to make the process of fertility investigation and treatment a positive experience. We are proud of our family-like atmosphere and strong commitment to patient education. Combining the latest technology with compassion and individualized care, will ensure that our family can help you grow your family. In December 2004, California IVF: Davis Fertility Center, Inc. opened it’s doors for business. After months of preparation and quality control, the clinic was ready to meet the challenges of providing advanced fertility services. Since that time, we have continued to evolve our science and approach to fertility treatments. Our continuous process improvement and implementation of the latest developments allow us to expand to a second clinic located in Sacramento. At the same time California IVF formed a collaborative relationship with UC Davis Health System in 2011. 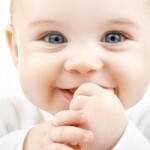 Now known as California IVF Fertility Center, we have taken the next leap in our future. Our Davis and Sacramento offices merged into a single office in Sacramento at 2590 Venture Oaks Way, Suite 102 and 103. Our new facility was designed and built with special attention to every detail. With an in-house research facility, operating room, and a highly sophisticated air filtration system, we are poised to lead the way to the next generation of fertility treatments. California IVF is pleased to offer one of the most advanced embryology laboratories in the area. Our physicians and staff have remained committed to brining the best possible results and have a real passion for our work. We have offered advanced genetic testing of embryos since 2005, have live births from frozen oocytes, and have a unique donor embryo program that offers near perfect outcomes. While other centers claim to offer the latest technology, California IVF Fertility Center, in collaboration with UC Davis Health System, strives to develop the latest frontiers of treatment options. These changes have collectively let to a remarkable improvement in success rates over the last several years. High success rates have changed the types of treatments patients select and can drastically shorten the time it takes to become pregnant. We are proud of our accomplishments and remain committed to our patients and our future. Why go anywhere else? You should also feel welcome to stop by and request information. For your convenience we offer free clinic tours that will serve as an introduction to our clinic and services. These free tours are very useful for helping you understand the journey that lies ahead of you. You will also have the opportunity to decide if we are the infertility treatment clinic that is right for you. We are located in Natomas, between El Camino Real and Garden Highway, just off I-5. We are approximately 15 minutes from our previous Davis office and Kaiser Davis. Sacramento and is convenient to Woodland, Davis, Dixon, Vacaville, Fairfield, Suisun, Napa, Roseville, Vallejo, Stockton, and Lodi. We also extend our welcome to patients from out of state as well as our neighbors in Redding, Fresno and Oregon. Our convenient location near Interstate 5 and Interstate 80 are easy to access from all parts of Northern California and the Bay Area. We are conveniently located near the Sacramento International Airport (SMF) for our patients travelling from out of state and out of the country. We strive to make our patients’ experience the best it can be. Our staff is professional and courteous. We have your interests at heart. Everyone at California IVF truly loves what they do and it shows. Click to learn more about our doctors and staff. More information on pregnancy statistics can be found on our Success Rates page. One of our measures of success does not involve positive pregnancy tests. Though we have an excellent pregnancy rate, we pride ourselves on the satisfaction of patients that don’t achieve pregnancy. If these people feel they have received excellent service, compassionate care, and individualized attention, we know we are making a difference in their individual struggle with infertility. We try hard to get everyone pregnant. In reality, this is not currently possible. Trying our best with compassion and genuine care is noticed by our patients. No single statistic can measure a clinic’s dedication to their patients.